IDAHO FALLS — Fall enrollment at the College of Eastern Idaho has nearly doubled since this time last year. To date, 922 students have enrolled at Idaho’s newest community college, CEI spokesman Todd Wightman told Idaho Education News. Just 482 had enrolled by this time in 2017. “We are trending to have over 1,500 students for the fall semester,” Wightman said. CEI president Rick Aman welcomed the spike amid Idaho’s years-long push to increase college enrollment. He attributes the upswing largely to added coursework stemming from the school’s recent shift from a technical college to a community college. The voter-approved changeover made way for general education courses at the school. These “gem stamped” courses cost nearly one-third less than those offered at nearby Idaho State University and count toward associate degree options now available through CEI. Students on the path to a bachelor’s degree can also get their start for a lower cost at CEI, Aman said. “Any course that’s gem stamped has to be accepted by a college or university in Idaho, and they are generally accepted out of state,” Aman said. But while CEI’s added courses and lower tuition appear to be a plus for the state’s much-touted goal to have 60 percent of its young adults complete some form of a postsecondary program, its still unclear exactly how many local high schoolers are participating. Wightman said only a “handful” of students have signed up for CEI’s concurrent education program, which allows local high schoolers to take classes on the college’s campus. It’s also too early to say how many high schoolers will sign up for dual-credit courses offered through CEI in 2018-19. Idaho has committed more than $100 million since 2013 to turn high school graduates into college students. 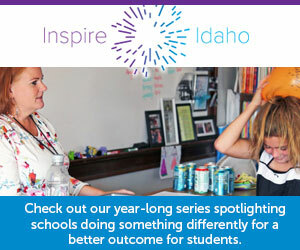 Click here for an in-depth, award-winning look at Idaho’s “60 percent goal,” and why the state is struggling to convince high school graduates to continue their education.